Dave Douglass’s book tells the story of the ghost dance, a dance of resurrection and defiance by North American Indians as a way of asserting that their culture would never die. The ritual would last for days. The dancers, in their passion and fury, came to believe that the “white man would lose his strength, the buffalo would return to the prairie and the fish to the streams and birds to the sky”, writes Douglass. “The authorities hated it. It scared them. Here was defiance beyond reason. The era of the red man had gone. Why wouldn’t they disappear with it?” On 29 December 1890, the US Army shot the dancers down. By giving the third volume of his autobiography the title of Ghost Dancers, Douglass, a rank-and-file leader of the miners’ 1984-85 strike, emphasises the importance of preserving the memory of the desperate fight to save jobs, communities, the union and a vision of socialism. The ghost dance of the native Americans is seen as akin to the annual Durham Miners Gala. Despite the closure 15 years ago of nearly all of the deep-mine pits in Britain and of every single pit in the Durham area, the 2009 gala attracted up to 100,000 people from all the former coalfields. The previous two volumes of his autobiography, amusing, controversial, above all honest, have taken the form of a journey, almost a romp, through history, with the author, often involved and always with an opinion, giving us his take on the big issues of the day. In this volume, we have a unique history of the great strike for jobs that is full of insights by a participant. Douglass also deals with the prolonged aftermath when the miners, their wives and communities fought a desperate rearguard action against a government that was determined to destroy the National Union of Mineworkers (NUM) as a fighting force, no matter what the cost. As the elected co-ordinator of the picketing operations in the whole of the Doncaster area, perhaps the most militant area in the entire coalfield, Douglass has some good stories to tell, often with an amusing twist. He analyses the forces at work – the state, politicians, trade union leaders and the NUM itself. He gives the important turning points of the strike his full attention. 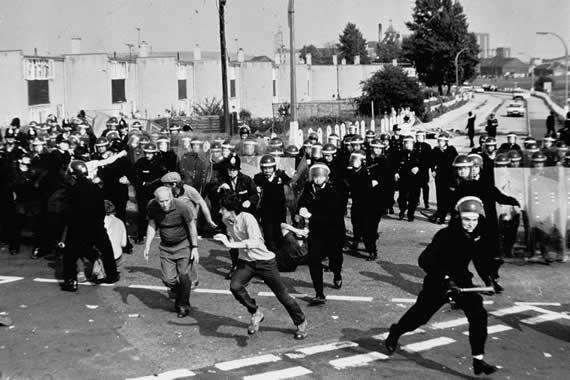 In his view, the mass picketing at the Orgreave coking depot, which became a pitched battle with the police, was a “monumental mistake” and an “entirely symbolic battle with little strategic value”. He would have preferred to see a strengthening of the pickets at power stations and wharves, at the “jugular”, as he calls it. On the whole, however, he is supportive of Arthur Scargill and the NUM leadership during the course of the strike. 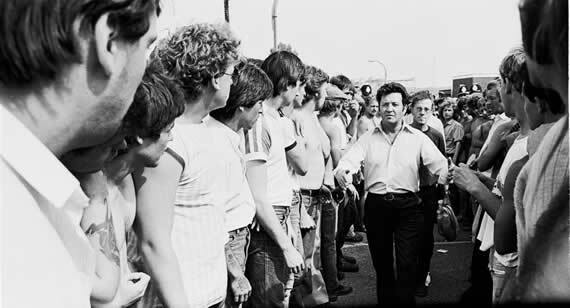 Despite his misgivings over the tactic of the mass picket, he undertook to lead the Doncaster and South Yorkshire pickets into the rear of the Orgreave coking plant during the so-called second battle of Orgreave in June 1984, which he graphically describes. The book sheds light on the collapse of the national dock strike in July 1984 which broke out after non-registered dockers unloaded a coal ship at Immingham, near Hull. He writes at length on the policy of giving dispensation for coal to be delivered to steel plants. He speculates on the “unfathomable” decision by the leaders of the pit deputies union, NACODS, to call off their proposed strike and “stab the NUM in the back” in October. He details the dirty tricks employed by the Coal Board and the Thatcher government to split the miners and he describes the invasion of his own pit village, Hatfield, by riot police in August. It is the description of the aftermath, the years of trying to keep the industry alive, that are perhaps the most valuable , as there is no other written record of this doomed struggle. The author makes the point, in agreement with Scargill, that the miners had not gone back defeated. “Thatcher certainly hadn’t won, not in her core objectives,” he writes. It was this realisation on the part of the Tories that led them to set out to destroy the industry and the NUM with it. “A full scale massacre had not initially been on the cards, only a systematic culling and neutering. When this had proved inconclusive, then a 'final solution’ by the destruction of coal’s markets, was consciously and deliberately planned,” he writes. 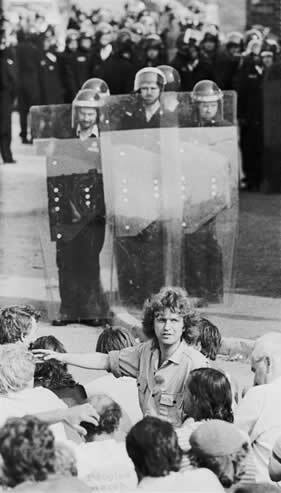 The miners and their communities would be made to “pay the price of insurrection”. The markets were rigged in favour of oil, gas and nuclear in order to destroy the NUM, he writes. Douglass accuses both the official Labour leadership and the Tories of ensuring that the miners would no longer be the vanguard and shock troops of the labour movement. Before the strike miners, Douglass points out, had a measure of control over the organisation of work. Nothing really happened without the say-so of the NUM. Manning arrangements were organised by the union at each pit so that everyone had their turn at the coalface where the highest wages could be earned. It was this limited form of workers’ control that made the job tolerable and even worthwhile, and which earned the union – with the fight for justice and a better world at its core – considerable respect. With the return to work, the miners found a new aggressive and ruthless type of management in place. It was driven by a government-inspired programme of closures and a fear of the residual power of the NUM. Wildcat strikes broke out frequently after the return to work and ballots by the union for national strike action were put forward and even carried in the following years. But in a climate of ongoing closures, ruthless management and large redundancy payments offered to bribe miners to leave, many wanted out. “The cancer of redundancy fever” took over, says Douglass. “The leading men at Hatfield, to a man strong militants, good union men with visions of the future and dignity, after the defeat of 84/85 and the loss of union power, want only the wad of money...”. And when they got their money, they could return as private contractors, at least until the pit was closed down. During these years Douglass found himself at odds with Scargill and the executive of the NUM on several fronts. He accuses Scargill of bureaucratic manoeuvring in order to secure his policies and continuing dominance over the union. 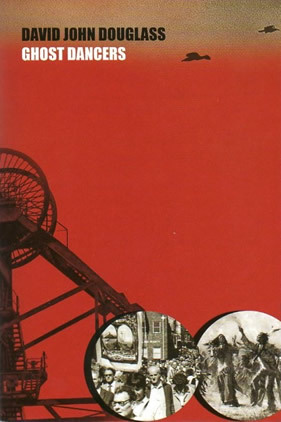 Douglass is particularly critical of the way that the International Energy and Mineworkers Organisation, with Scargill as its president, functioned, without benefitting the miners themselves who funded it. He complains that he has never seen a set of accounts for the organisation, despite numerous requests. At the end of Scargill’s final NUM conference as president in 2002, Douglass joins the standing ovation to him “as a comrade and fellow miner, as a fellow fighter against the system, as a fellow picket and revolutionary”. He writes that “his life and contribution cannot be characterised or diminished by these last 10 years of egocentric Stalinist degeneration”. Douglass goes on to describe Scargill in later years as “a demagogic opponent and entrenched bureaucrat, determined it seemed to knock himself off the esteemed perch on which I and many others had placed him”. While the author sheds light on how the Thatcher government destroyed an entire industry with the loss of at least 600,000 jobs, there is something important missing. This is the story of the full depth of the betrayals of the trade union and Labour leaderships during and after the strike. The miners alone, no matter how tenacious or well led, were not is a position to win the strike because, whether they knew it or not, the strike was a fight against the state for power. It could not have been won without bringing down the government, and that was the last thing that the TUC and Neil Kinnock and the other leaders of the Labour Party – as well as the Communist Party who played a key role in the strike – wanted. The government learned, as the strike progressed, that it could rely on the Labour leaders to block any effective support. In the end the TUC was prepared to stand by and watch the virtual destruction of one of its strongest unions rather than challenge the government. The miners were left to fight alone. Today, with an immeasurably deeper crisis of global capitalism raging, the Cameron-Clegg coalition is responding with a savage series of cuts and attacks on public services. The urgent need is for a new kind of political leadership that can unite those under attack – trade unionists, youth, creative workers, the unemployed, older people – to challenge for power and take humanity into a world beyond capitalism. Douglass gives the readers his thoughts on the Green movement (of which he is critical), karate (he is an expert practitioner), the republican movement in Ireland, the killing of John Lennon, the situation in Palestine and a host of other topics. And he describes in amusing detail an NUM visit to the miners’ union in Russia and his job as a child minder after being made redundant. The quality of the writing varies between a strong and gritty descriptive prose combined with a gift for writing good dialogue, and a rather disorganised and repetitive stream of consciousness which tends to make the book over-long. Ghost Dancers, by David John Douglass. Christie Books. £12.95.